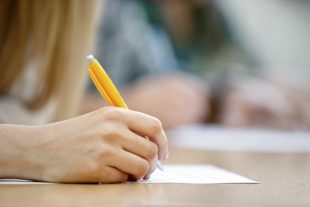 Today’s news review looks at two open letters that have been sent to the Education Secretary about the English Baccalaureate (Ebacc). This morning the media has covered two open letters sent to the Education Secretary about subjects that they feel schools may overlook in favour of the Ebacc – which is a collection of five academic subjects at GCSE (maths, English, a language, science, history or geography) that provide children with a strong academic core to give them the best start in life. Firstly, yesterday, 26 July, a group of MPs wrote to the Prime Minister and Secretary of State, calling for design and technology to be included within the Ebacc. The story ran in a short piece on BBC Breakfast and has been covered online by Schools Week. A separate letter was also sent to the Secretary of State today calling for citizenship, religious education (RE) and PSHE to be given greater prominence in the curriculum. This letter was penned by a group of headteachers and representatives of professional associations. This letter was also covered by BBC Breakfast briefly this morning and it appears on the TES website. It is incorrect to suggest that the Ebacc prevents pupils from studying these subjects. On average, pupils in state-funded schools enter for nine GCSEs and equivalent qualifications, rising to ten for some pupils. For many pupils, taking the Ebacc will mean taking seven GCSEs; and for those taking triple science, it will mean taking eight. Therefore there continues to be plenty of room to study other subjects. Alongside the core academic Ebacc subjects, students can choose to fill their three ‘open’ slots with any other GCSEs or high quality non-GCSE qualifications on our approved list. Furthermore, all schools, whether they are council-run or academies, must teach RE, and all council-run secondary schools must teach citizenship. Over and above that, all schools are held to account for how well they promote the modern British values of tolerance and respect for other cultures and beliefs. We want all schools to offer an excellent, well-rounded education that gives every child an equal opportunity to reach their full potential. We have designed the Ebacc so schools have the flexibility to offer students wider options, such as design and technology, so they can study subjects that reflect their own individual interests and strengths. Our reformed design and technology GCSE and A level qualifications bring the subject into the 21st century with cutting-edge content aligned with contemporary industry practice. Alongside these, the new maths and science GCSEs and A levels will also provide a strong foundation for young people to progress on to study engineering or design at university and consider a career in the sector. This government is focused on making Britain a country that works for everyone. We are determined that every child, regardless of background, gender or ability, has an equal opportunity to reach their full potential. We are clear that Religious Education (RE), PSHE and Citizenship all have an important role in ensuring pupils are well prepared to play an active part in society. All schools, whether academy or council-run, must teach RE and all council-run secondary schools must teach citizenship. Furthermore, each school is held to account for how well they promote the modern British values of tolerance and respect for other cultures and beliefs. We also expect all schools to deliver PSHE to a high standard. We know that the vast majority of schools and teachers recognise the importance of PSHE, and we trust teachers to tailor their lessons to best suit their pupils. We are focusing on raising the quality of PSHE teaching, working with leading headteachers and practitioners to look at how best to achieve this. For more information on the Ebacc, visit gov.uk.